Bojonegoro is a regency in East Java and if you check out the map, it is on the westernmost of the province. It is bordered by Blora regency at the west. So if you already done with things to do in Blora, you better set your next journey a little bit to the west. And voila, you’ve arrived at Bojonegoro! So here’s 15 things to do in Bojonegoro, you better check this one out! 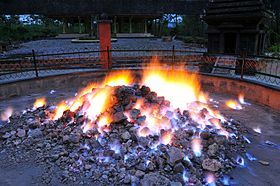 This eternal flame is a fire source that unflagging in Ngasem district. This awesome place has its logic reason. It’s because of the geological phenomena where the natural gas is coming out from the ground that burnt. So, this fire never gets off even there’s heavy rain came. Sounds magical, right? But then, this place also has its own folklore story. It was told that it was a place of a powerful person named Empu Supa. The villagers believe that back then, Empu Supa lived there while making some metal weapons. They also believed that the fire is sacred and can only be used for special ceremonies. If you can get into this place at the right moment, you will be welcomed by the glowing lampions all the way from the entrance until the fireplace. Also, there will be a lot of tradition performances along with transportation such as becak and small train. Pacal Reservoir is one of the masterpiece that was built in 1924 and started to run in 1933. 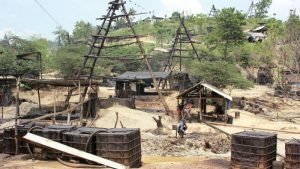 It is also one of the biggest site around, with the total area of 3.878 square km and its depth reached until 25 m. You can find this site at Temayang district. And don’t worry about the road, you’ll go through the wide and smooth provincial road. 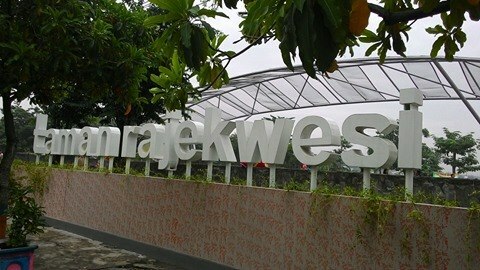 Along the way, you can enjoy the beauty of teak forest around Kendeng Mountain area. If you get here in between of rain season, you’ll find the reservoir become so wide it almost like a lake. And the best part is you can spot a small island at the southern part of this site. To get into the island, you only need Rp20.000 for a back-and-forth trip. Or if you get here at the dry season, you’ll spot some farmers are taking care of their fields around the reservoir. The water in this site is the source of life for many farmers around. Start to feeling hungry? Don’t be panic! You can enjoy some fresh cooked fish that caught up from the reservoir. The warm welcome from the villagers will make you want to stay there a little bit longer, so put it on your travel list! Seeking for some peaceful at a natural place? Then you should visit Tirta Wana Dander in Dander district. This site is a must for things to do in Bojonegoro. 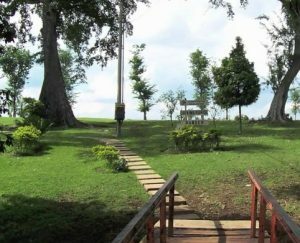 You can find a lot of natural attractions such as a wide field filled with teak trees and a very clean river for soothing your feet. You can also find a monument of F-86 Avon Sabre, which is a gift from the Indonesian Air Forces to Bojonegoro regency. For the golfers, don’ forget to bring your clubs here because they also have the golf course for you to try! If you’re looking for a place where you can pick fruits right from the tree, you should check this place. Ngringinrejo Farm is a place in Kalitidu district where almost everyone living there is a starfruit farmer. When you arrived at the entrance of the farm, you’ll be welcomed by a starfruit statue which is the icon of the site. If you want to count how much are the trees, you will need to stay there for couple of days. Because this 18,5 hectares farm contains 9.604 strafruit trees. Such a number! Unlike the starfruit you get at the store, here you can find the bigger starfruit called honey starfruit. You can get this fruits from Rp 3.000-Rp4.000/kg for the small one and Rp 5.000-Rp8.000/kg for the big one. And as I said before, you are able to pick the starfruit right from the tree and eat it for free! Or if you want to get some snacks for way back home, you can buy lots of starfruit-based snacks here as well. If you want to see how old Texas was but with a reasonable price, just visit Little Texas in Kedewan district. You can see the old oil wells and some demonstrations of picking up the oil back then. For you who’s majoring in mining, you should come to this site. And the best part, you can try to pick the oil with the traditional way by yourself! It’s one of the best place to educate you kids as well. Or if you’re off road lovers, you also can try the tracks available there. The tracks will passing some spots of old oil mining, all with the old tripod wood to pick the oil up. Sounds so Texas, eh? If you’re a photographer, you better pick you lens up to Negeri Atas Angin. 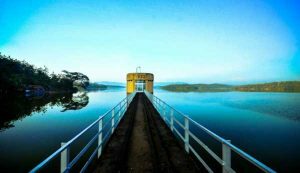 It is in Sekar district, 50 km away from downtown. And for the best shots, get here before the sunrise of the sunset. 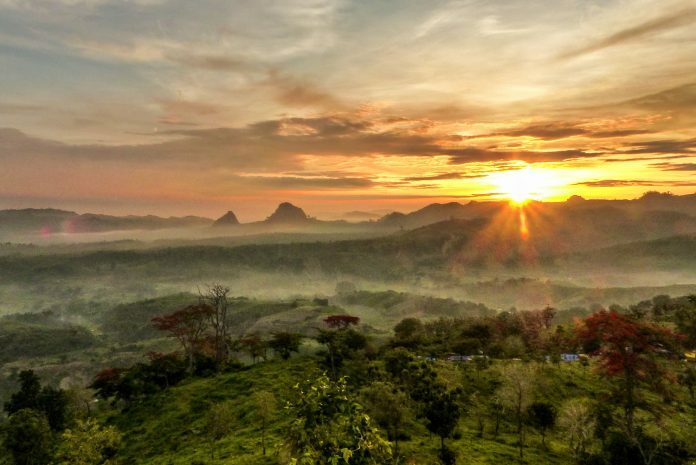 Because you’ll capture the amazing panorama from the Love Hill there, with some mist covering your surroundings. According to the folklore, it was a place of Prince Atas Aji and Princess Sekar Sari when they met for the first time. They finally decided to stay there until the end. This place also one of the recommendations for pre-wedding photo sessions, and a great place to set up your tent as well. So if you’re a photographer and a backpacker, you better put this site into your next journey and prepare all of your belongings! If you already done with things to do in Malang and still seeking for waterfalls, then you should drop by at this site. 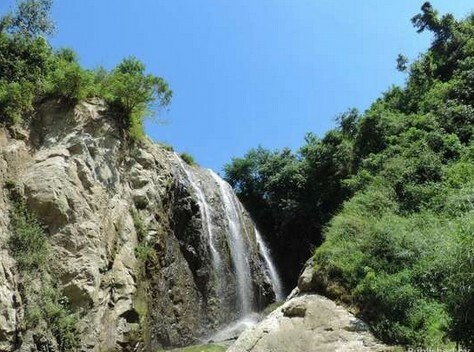 Krondonan Waterfall is located in Gondang district. It’s around 37 km to the south from downtown. It’s a perfect place for those who seeking for a private place in the nature. Since not much directions for this site, you maybe need to ask for the villagers for the exact location. Not enough with the previous waterfall? Don’t worry! There’s another one at Bubulan district, around 23 km away at the south of the downtown. 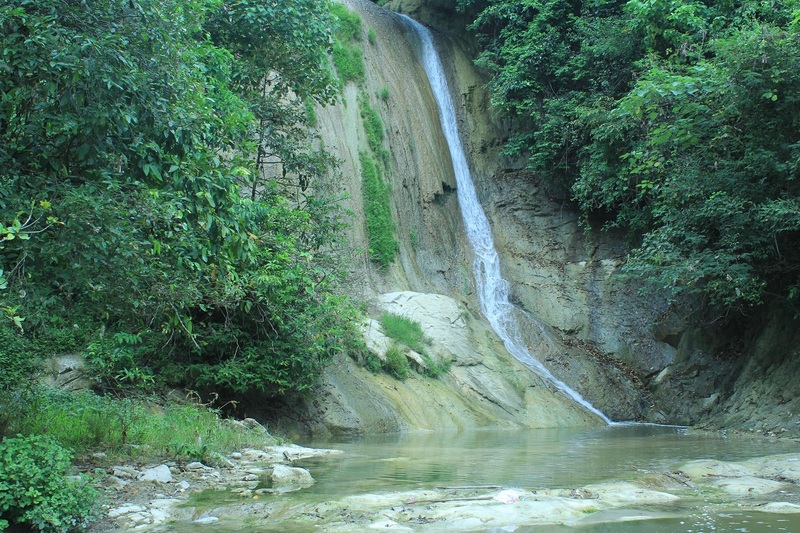 At the site, you can immediately enjoy the peaceful atmosphere as you get into the small pool under the waterfall. They also offer spacious parking lot and some restaurants with afforable prices. This is also a great spot for professional photographers to get some fascinating shots. But don’t worry, you don’t have to be professional to get great shots in this site. Bring your families here and capture some memorable shots! If you want to spend some time after dinner, better go to Go Fun Theme Park. Located at the downtown, this theme park is very accessible from every part of Bojonegoro. You can enjoy some games, rides, and attractions that the offer. Or even watch the fountain there with the sparkling lamps around. And if you get the right angle, you can snap some photos with beautiful lightings there. To get into the theme park, you have to pay Rp 25.000 and to enjoy the games, rides, and attractions, you only have to prepare between Rp 3.000 until Rp 15.000. If you started to get hungry, the also have some cafes and restaurants with many kinds of foods. And of course, it’s no fun if you get here by yourself. Bring your pack and have so much fun! Not a fan of buildings? You can walk to Rajekwesi Park and chit-chat with your relatives! 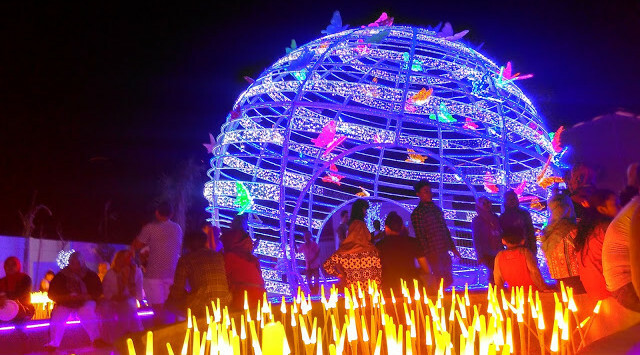 This park was officially opened in 2016, and since then many people have come to enjoy the site. While your kids can play with seesaw, slides, and sands, you can sit around while enjoying some snacks and fresh drinks that sold around. And just like other parks, the best time to came here is when the sky is getting darker. There are lots of children playing around, and lots of foods and drinks are being sell as well! Or you can also do the daily workout here as well. They have the pebble massage tracks as well! Don’t have to spend money to be healthy, just get to the park and you get the whole package of being healthy! If you want to bring some souvenirs from Bojonegoro, better check at Kasiman Carving Industry. Similar to the one at Blora, they offer many handicraft from teak woods. But wait! They don’t use the teak wood, they use the teak wood waste to make a wonderful handicraft! That’s why the handicraft from here is special. You can get a lot of things made from this material, from ashtray, vase, fruit bowl, jar, and many more. They also make some furnitures like chairs, tables, cupboard. Don’t worry about the proce, all of the handicraft here are sold in affordable prices. And if you’re curious with the process of making those stuffs, you can see the villagers around there are making those stuffs right on the spot. And maybe if you’re lucky, you can try to make it by yourself! 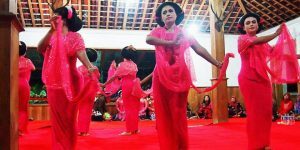 If you want to explore the culture of Bojonegoro, you can drive into Temayang district. 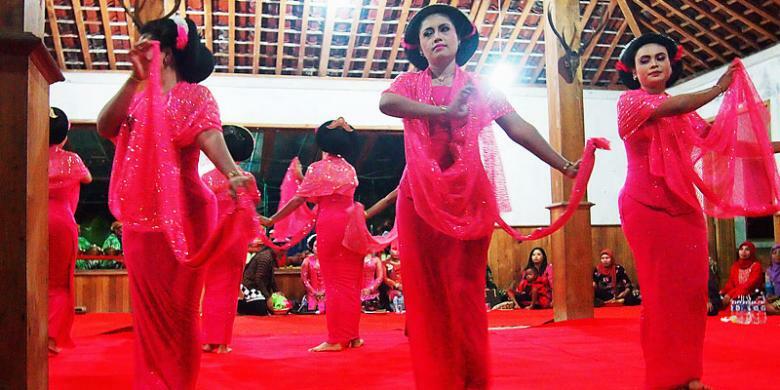 There you can find Sanggar Anugerah and meet the traditional dance called Tayub Dance. Back then, this dance was performed to celebrate the harvesting season or to cherish some memorable events. But nowadays, this dance is performed to welcome the honorable guests of to celebrate the regency’s birthday. The meaning of tayub itself is togetherness, so the guests are not only watching, but also able to dance together with the dancer. The key of this dance is politeness, so every dancer and guest have to be able to set the distance between each other. And you can ask the dancer to teach you some main moves, they will gladly teach you! In this site, you won’t find souvenirs that quite difficult to carry. 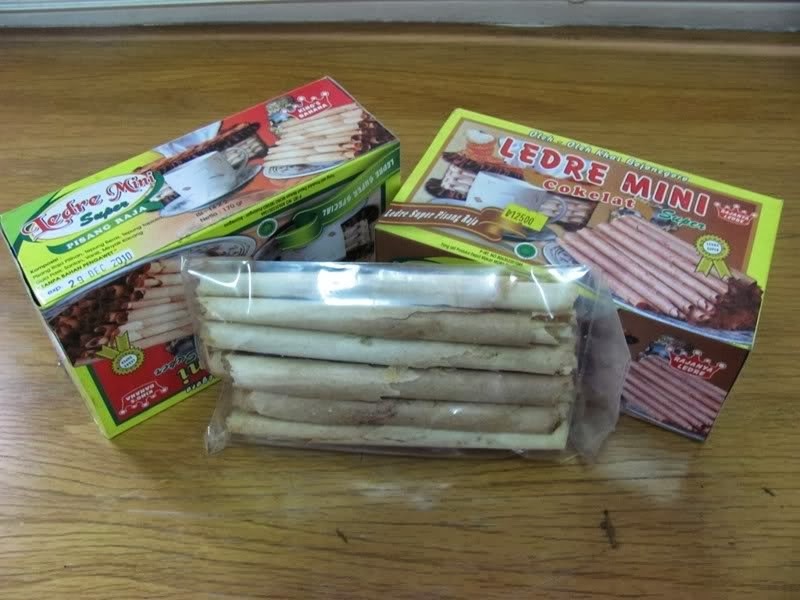 You will find the iconic snack from Bojonegoro called Ledre in every place in Bojonegoro, but I suggest you, go straight to the place at Bojonegoro Souvenir Center. Bojonegoro Souvenir Center is located at Padangan district. 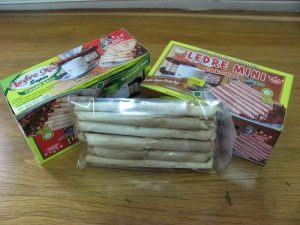 Ledre itself, is a wafer roll made from banana as the main ingredients. So as you opened the box, you can directly smell the sweet banana scent. And don’worry, this snack is very crunchy. By adding some pressure at your fingertip, this snack will cracked. Back then, it was a Chinese snack when food is getting hard to get. So they innovate a snack from flour and banana, resulting Ledre that we know recently. Bored with wooden crafts? 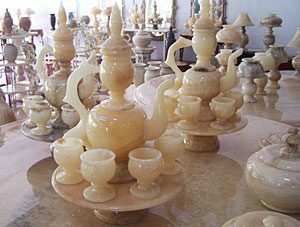 Well you can find the unique craft in Bojonegoro that made from onyx stone! 70 km at the south of downtown, you’ll find Gondang district and meet the makers of these awesome crafts. Back then, this craft is the most popular stuff in Bojonegoro when an industry was managing the producing process. But recently, only the villagers that has the skill who keep making this stuffs. Here you can find many kind of crafts, like statue, tables, chairs, and even more. But since the material is quite expensive, you better prepare some cash when you want to buy the crafts. Afterall, it’s a iconic craft from Bojonegoro so hope you won’t miss this one! Want to taste the food from Bojonegoro? One of them that you must try is Pecel Mekarsari. You can find this restaurant at Pacul village. Even it’s in a village, everyone in Bojonegoro know this place. Since this restaurant serves the best pecel ever in Bojonegoro. 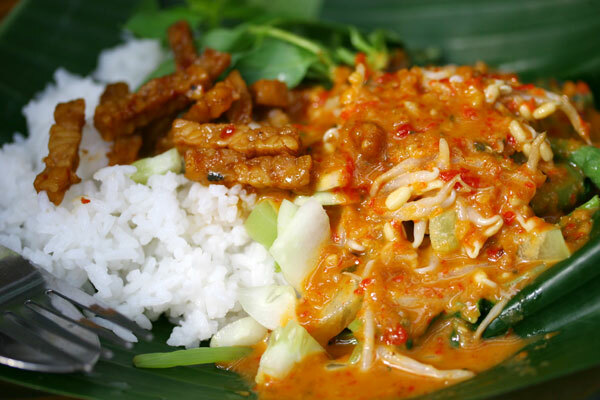 If you still unfamiliar with pecel, it’s a Javanese food with rice, boiled vegetables, and spicy peanut sauce. For extra side dish, you can choose plenty of it, from fried egg, fried soy cake, fried chicken, and many more. It’s a very healthy food, especially for an empty stomach in the morning. Better be quick if you want to taste this one, since the restaurant offers a very friendly price for each portion and open only at 6.00 AM until 10.00 AM. If pecel is not enough, then this is the food that you can only find in Bojonegoro. Yep, it’s called Flambe Rice. 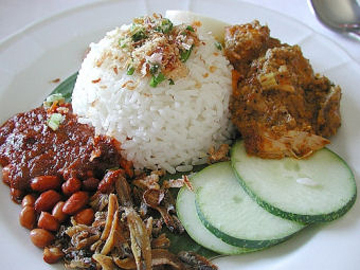 The most famous restaurant serving this dish is Dumi Restaurant in the northern part of the downtown. Flambe Rice is a dish with white rice, shredded chicken, scrambled egg, fried shrimp, and the iconci terasi sauce. This is the best menu for lunch, especially in Bojonegoro. In Dumi Restaurant, you can not only find Flambe Rice but also another special menu that will be served in unexpected time. One on the ‘surprise menu’ is Bebek Gempur, which is a fried duck with a special spices that will make you crave for more! So that some things to do in Bojonegoro. Or if you’ve been there, you can check things to do in Jember or you can also check things to do in Pasuruan. Finally, don’t forget to share the happiness with everyone!